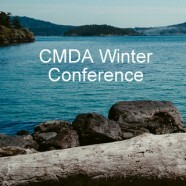 The CMDA Northeast Winter Conference brings Christians in healthcare from all levels of training and practice, specialty and disciplines—and their families— to the Chesapeake Bay with the express purpose of providing a restful environment in which to reconnect with God’s purpose for their lives. A few days away from the busyness of practice or training may be just what you need to get a renewed sense of who you are in Jesus and why you are in Medicine or Dentistry! Come spend time with your family and colleagues in Christ from across the Northeast and Mid-Atlantic. Michael D. Johnson, MD, FACS, met his wife while studying in Ann Arbor. They then moved to Philadelphia, Pennsylvania where he completed a residency in general surgery in 1984. After returning from a mission trip to Zaire in 1984, they spent 3 years in private practice in general surgery and then traveled to Kenya where the Lord had called them to long-term missions. For the next 23 years they worked full-time in Kenya and short-term in several other African nations, including Sudan, Ethiopia, Uganda and Tanzania, as well as leading short-term trips to Haiti and mission exploratory teams to Honduras and El Salvador. Upon returning to Philadelphia in 2010, they opened the Miriam Medical Clinics offering hope and healing to the city’s underserved. 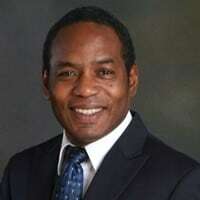 Dr. Johnson is a board-certified general surgeon and a Fellow of the American College of Surgeons. Sandy Cove Ministries is well equipped with a bookstore, prayer room, exercise room, indoor pool, delicious meals, and outdoor trails and fields. It is located 60 miles south of Philadelphia. Conference activities include meaningful plenary sessions, encouraging small group discussions, free time with organized and informal activities, a practicing healthcare professionals track, Healthcare Specialties Lunch, excellent food and facilities, and an amazing environment in which to reconnect with the Lord, childcare provided. 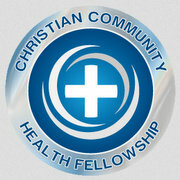 This is an amazing opportunity for Christian healthcare professionals at all levels of training and practice in the Northeast to take time away from the “hamster wheel” of modern healthcare practice and training for rest, encouragement and an opportunity to reflect on God’s call on their lives. Click here for further information about the program and registration.